Coalbed Methane (CBM) is an unconventional form of natural gas found in coal deposits or coal seams. CBM can be recovered from underground coal before, during, or after mining operations. 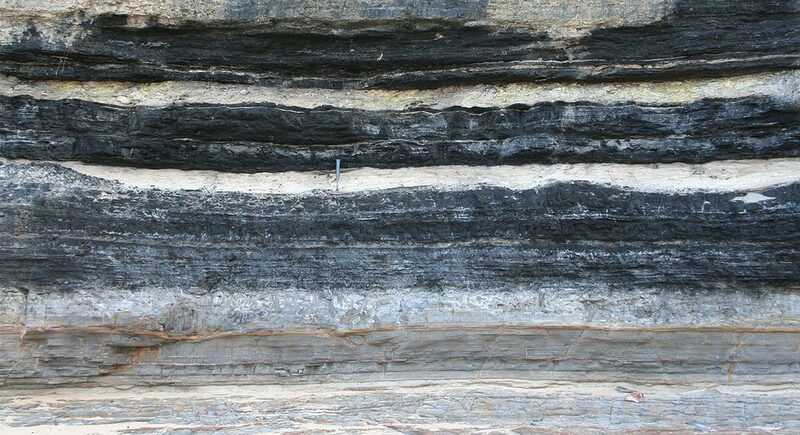 It can also be extracted from “unminable” coal seams that are relatively deep, thin or of poor or inconsistent quality. Vertical and horizontal wells are used to develop CBM resources. Extraction requires drilling wells into the coal seams and removing water contained in the seam to reduce hydrostatic pressure and release absorbed (and free) gas out of the coal US Energy Information Administration (EIA). US Crude Oil and Natural Gas Proved Reserves. (December 19, 2014). Retrieved from http://www.eia.gov/naturalgas/crudeoilreserves/index.cfm US Energy Information Administration (EIA). US Crude Oil and Natural Gas Proved Reserves. (December 19, 2014). Retrieved from http://www.eia.gov/naturalgas/crudeoilreserves/index.cfm US Energy Information Administration (EIA). US Crude Oil and Natural Gas Proved Reserves. (December 19, 2014). Retrieved from http://www.eia.gov/naturalgas/crudeoilreserves/index.cfm . CBM extraction continues to undergo research and development. Concerns include assessing the resource, identifying favorable geologic production areas, establishing efficient recovery schemes, demonstrating advanced drilling technologies and supporting capture and use of diluted gas streams US Department of Energy (DOE). Coalbed Methane. 2012. Retrieved fromhttp://energy.gov/sites/prod/files/coalbed_methane_factcard.pdf US Department of Energy (DOE). Coalbed Methane. 2012. Retrieved fromhttp://energy.gov/sites/prod/files/coalbed_methane_factcard.pdf US Department of Energy (DOE). Coalbed Methane. 2012. Retrieved fromhttp://energy.gov/sites/prod/files/coalbed_methane_factcard.pdf . The environmental impacts of CBM also continue to be assessed. Methane is a greenhouse gas emitted through CBM extraction. Global methane emissions from coal mines are projected to account for approximately 8 percent of total global methane emissions. Disturbance of lands drilled and its effect on wildlife habitats results in ecosystem damage. CBM production behavior is complex and difficult to predict in the early stages of recovery. Reservoir engineers and simulators must be employed to assess gas content, sportion time, thickness and reservoir pressure, among other factors. Though this is considered the optimum development strategy that could lead to economic recovery of CBM, any single factor can be affected by unpredictable nuances in a land’s profile Thakur, Pramod, Schatzel, Steve & Aminian, Kashy (2014). Coalbed Methane: From Prospect to Pipeline. Retrieved fromhttps://books.google.com/books?id=hAd0AwAAQBAJ&printsec=frontcover#v=onepage&q&f=false Thakur, Pramod, Schatzel, Steve & Aminian, Kashy (2014). Coalbed Methane: From Prospect to Pipeline. Retrieved fromhttps://books.google.com/books?id=hAd0AwAAQBAJ&printsec=frontcover#v=onepage&q&f=false Thakur, Pramod, Schatzel, Steve & Aminian, Kashy (2014). Coalbed Methane: From Prospect to Pipeline. Retrieved fromhttps://books.google.com/books?id=hAd0AwAAQBAJ&printsec=frontcover#v=onepage&q&f=false . An increasing concern is the effect water discharges from CBM development could potentially have on downstream water sources. Disposal of the highly salinized water that must be removed in order to release the methane creates a challenge, as its introduction into freshwater ecosystems could have adverse effects Environmental Literacy Council. Coalbed Methane. (April 2, 2008). Retrieved fromhttp://enviroliteracy.org/article.php/615.html Environmental Literacy Council. Coalbed Methane. (April 2, 2008). Retrieved fromhttp://enviroliteracy.org/article.php/615.html Environmental Literacy Council. Coalbed Methane. (April 2, 2008). Retrieved fromhttp://enviroliteracy.org/article.php/615.html . Land disputes have emerged regarding claimed effects of waters as well as the water damage that might arise in the future Environmental Protection Agency (EPA). Coalbed Methan Outreach Program. (March 23, 2015). Retrieved from http://www.epa.gov/coalbed/faq.html#one Environmental Protection Agency (EPA). Coalbed Methan Outreach Program. (March 23, 2015). Retrieved from http://www.epa.gov/coalbed/faq.html#one Environmental Protection Agency (EPA). Coalbed Methan Outreach Program. (March 23, 2015). Retrieved from http://www.epa.gov/coalbed/faq.html#one . CBM development is a rapidly emerging industry and is considered an important source of energy. Communication links and information sharing between industry, government, non-governmental organizations, private developers and individual landowners will remain critical if this energy source is to be developed responsibly National Park Service (NPS). Coalbed Methane Development Overview. (January 2003). Retrieved fromhttp://www2.nature.nps.gov/geology/adjacent_minerals/EnergySummit/Methane/Coalbed%20Methane%20Factsheet.pdf National Park Service (NPS). Coalbed Methane Development Overview. (January 2003). Retrieved fromhttp://www2.nature.nps.gov/geology/adjacent_minerals/EnergySummit/Methane/Coalbed%20Methane%20Factsheet.pdf National Park Service (NPS). Coalbed Methane Development Overview. (January 2003). Retrieved fromhttp://www2.nature.nps.gov/geology/adjacent_minerals/EnergySummit/Methane/Coalbed%20Methane%20Factsheet.pdf . Sorry, we do not yet have a video specifically for Coal Bed Methane. We are adding new videos to StudentEnergy.org weekly, but in the meantime check out this video on Natural Gas.